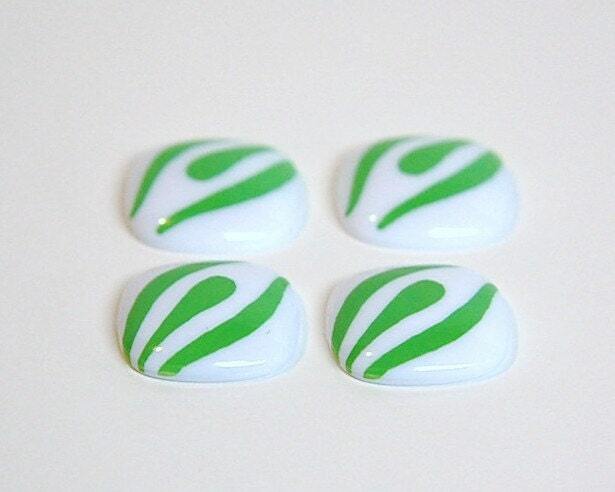 These are vintage plastic cabochons that were made in the 1980's. They have a mod design on the domed front. These measure 22mm. You will receive 4 pieces. I have these in other colors and designs. 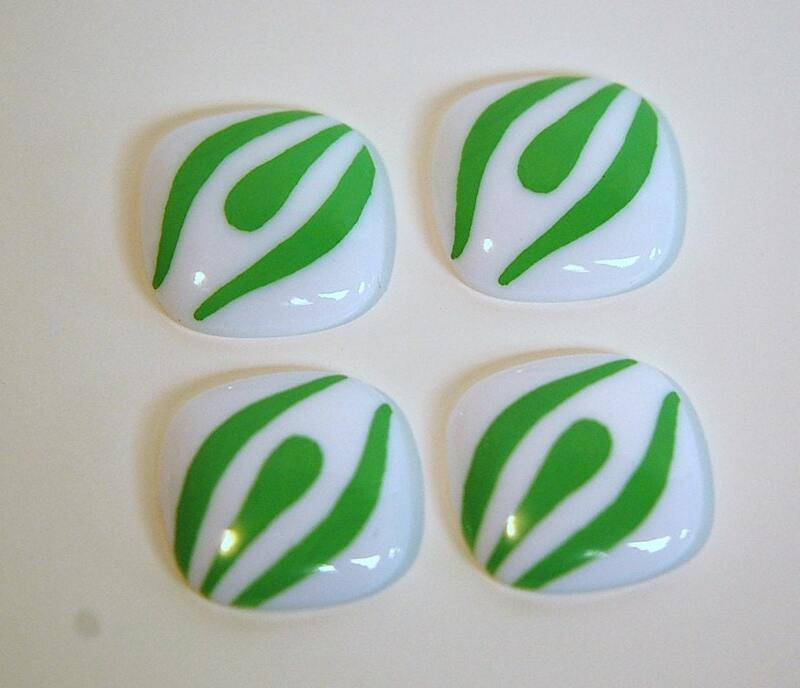 Love my Green and White Cabochons. Again, thanks for the quick shipping and great merchandise!